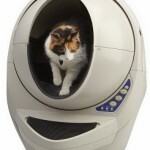 (4.9/5)The Litter Robot Connect is the upgraded Wi-Fi version of the Open Air. They both operate the same, but the Connect model is the smart version that allows you to monitor and fully control the unit with your iPhone or iPad, using your existing Wi-Fi network and the LR Connect App, which is the first of its kind on the market. 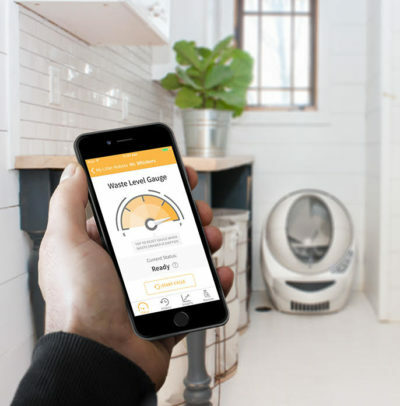 The Litter Robot Connect allows you to check on your cat’s litter box usage, check the empty notification to know when the waste drawer is full and needs to be emptied, change settings, and many other features. NEW! 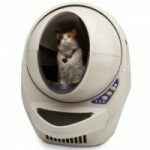 Now the Litter Robot Connect is available in Grey! 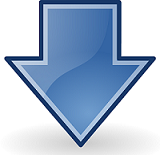 (Learn how to get $25 off the price at the end of this review). It gives you the ability to adjust the wait time to 3-7 or 15 minutes with the tap of a button. The wait time is the time between the cat leaving the litter box and the unit starting a cleaning cycle. 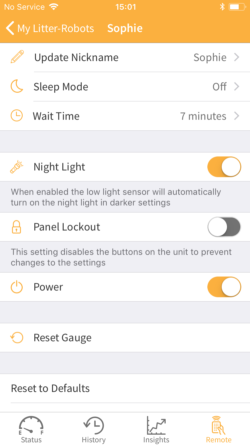 You can easily set the unit to Sleep Mode at night so the Connect won’t start a cleaning cycle at night. 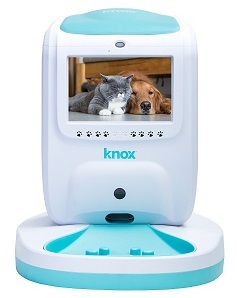 Ability to lock out the Control Panel to keep mischievous paws or tiny hands from pushing buttons which can change settings or create unwanted cleaning cycles. Check that your Litter-Robot Connect is close to the router or WiFi extender to make sure you will have a reliable signal. Have your unit plugged in and make sure it did the initial cleaning cycle. Make sure your Wi-Fi is ON. Write down your Wi-Fi password, you will need it to complete the process. 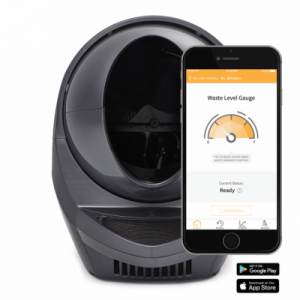 Connect your phone to Litter-Robot’s Hotspot. Leave the App, go to Settings and find your current Wi-Fi network. Find the Litter Robot network and choose it. Enter the password. Your phone will connect to the Litter-Robot’s network. Choose your Wi-Fi network and enter the password of your Wi-Fi. Wait for Wi-Fi confirmation. 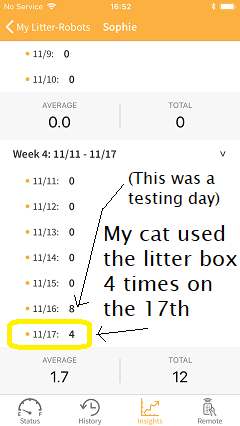 It shows the “Waste Level Gauge” and this gauge shows the arrow moving up in real time as your cat uses the litter box. Here, you can tap the button “Start Cycle” to start a rotation from your iOS device. Ready. The unit is ready to be used. It provides you a weekly or monthly chart with your cat’s elimination habits.This is a huge help to keep track of your cat digestive and urinary health, especially if your pet is experiencing constipation, diarrhea or first symptoms of diabetes or urinary blockage. 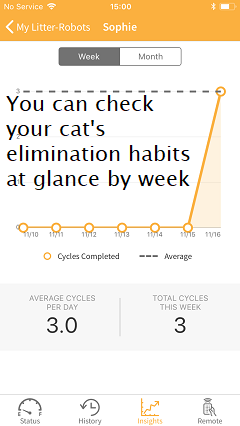 Any significant change in the chart is a red flag to start paying attention to your cat. Change the Litter-Robot Connect’s name. Active Sleep Mode. You just need to tap the button to activate the Sleep Mode, then choosing the period of time the unit to be inactive, save and that’s all. Adjust Wait Time. Tap the wait time and choose the time sliding to get the number you want, to 3-7 or 15 minutes. Panel Lockout. Tap it to lock or unlock the panel. Power. Turn the unit off/on by tapping this button. Reset Gauge. Once you empty the waste drawer tap and reset the Gauge to start from zero. Reset to Default. Tap to restore default settings. App to change delay time. New setting shows on screen. Chart per Day, week & month of box usage. 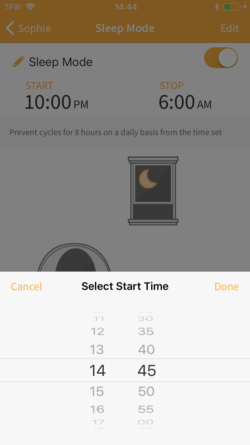 You can custom hours of Sleep Mode time on your App. Change delay time on unit. New setting can’t be seen. No track of the litter box usage. 8-hours sleep default. Must set it on Control Panel. 1. Getting the Connect Base Upgrade. This is an easy way to do it, simply get the Connect Base Upgrade and replace it with the existing base of your unit. The new Connect base will work with the existing Globe and Bonet. The Connect Base Upgrade forms part of the Components of the Litter Robot. 2. Getting the Connect Upgrade Kit Installation. This is the DIY option that requires a little more work but it’s a more economical option than the Upgrade Base and it’s not really that hard to install. You need to get the kit and install it in the existing control panel of your unit. This kit is part of the accessories of Litter Robot III that you can purchase to upgrade your unit. What comes in the Connect Upgrade Kit? The Connect Upgrade Kit Installation Guide shows with instructions and pictures step by step how to install it. Before starting the installation you will need a #2 Phillips screwdriver and optional, a Needle-nose pliers (we didn’t need it) and a Utility knife (we didn’t need it either). To make things easy for you, I created a video with step by step instructions how to install the Connect Upgrade Kit. 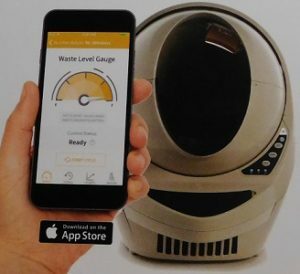 Either you get the new Litter Robot Connect or you Connect-enabled your existing machine you will enjoy the convenience of fully controlling and monitoring your cat’s litter box through your iPhone or iPad. 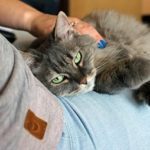 But not only that, you will be able to check your cat’s elimination habits which will allow you to keep track and take care of your cat’s health, which is very important, especially with indoor cats. Now I will be able to know if my cat has constipation or urinary issues which I couldn’t monitor in the past. The charts the App provides are a great piece of information for me and my Vet. Also, I will be traveling with confidence that if anything happens to the litter box, I will be able to call a friend to fix it for me. This is very rare and it hasn’t happened to me so far (I’ve had the unit for 18 months) but it’s still good to know you are in control. If you are busy, travel a lot and like to control your devices through your Smartphone, I highly recommend the Litter Robot Connect. Get the Connect Litter Robot using my link below and get $25 Off! 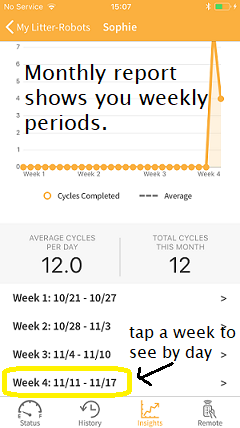 I am curious if the Full indicator is based upon the number of cycles or is there really a censor that determines how full it is? I think the full indicator is based upon the number of cycles because once you empty the waste drawer, you must reset the indicator on your phone. Can two people monitor the same litter robot III open air connect and get alerts? Do we have to each sign up separately after the unit is connected to the home network? Hello Vickie! Yes, It is possible if two users log into the Connect App with the same account. The Litter Robot Connect is connected to a single account, not a single device. Hope that helps! Where are you from? This unit is sold in the United States. 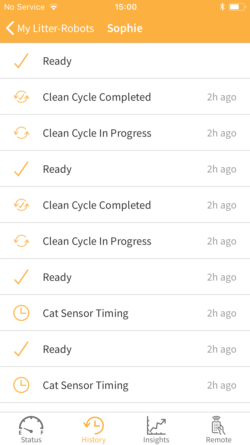 I noticed in the history section sometimes it says cat sensor, clean cycle in progress, and clean cycle completed. But other times it won’t say clean cycle completed. Is this because my cat went in and didn’t produce any waste? Hello Ali, that means the Litter Robot didn’t rotate or didn’t complete the rotation. Every time a cat goes inside the Litter Robot the sensor activates and the Globe rotates no matter if the cat does its business or not. It could be that someone at home stopped unwanted rotation by pushing the reset button or the Globe didn’t finish a rotation due to excess of litter. Hope that helps!